A place for everything, and everything in its place ... 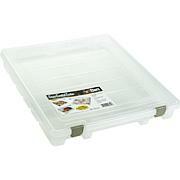 This box comes in handy for storing small boxes of craft embellishments you might have. 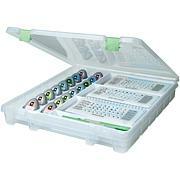 It's a great way for your favorite DIY'er to assemble store tapes, brushes or like items in one place. Or, you might want to have one handy for your favorite sportsperson who might have a collection of items that could be stored all together. 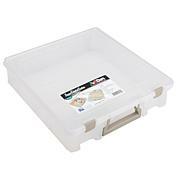 I use this container for stamps and storage for my framelits for step-up cards. Perfect size to fit in my travel bag to attend card making classes. I love how it comes with dividers. A perfect tool for storing markers. 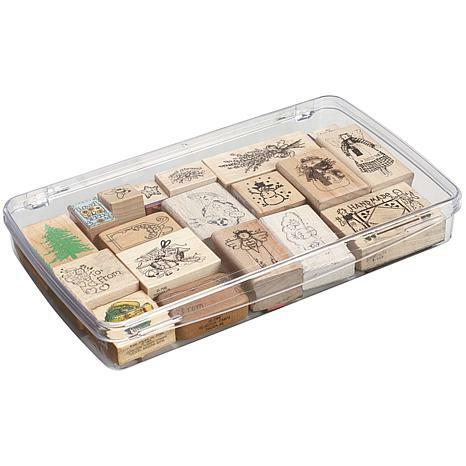 Bought 4 of these to hold all my "Stampin' Up" wood block stamps and I will need to order a least 2 more...didn't realize how many stamps I had! 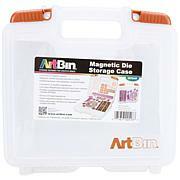 Now they will all be in these ArtBins and easily accessible! I have several other ArtBin containers and they are filling up quickly as I am organizing and setting up my new craft room! Can't wait till all is in one room and all easy to find via these clearer holders...I highly recommend these!